For the past half century the music of Randall Thompson has remained a staple in the choral repertoire. Rare is the chorus that has not performed his classic Alleluia, movements from his cycle on the poems of Robert Frost, Frostiana, or selections from his works setting liturgical texts. 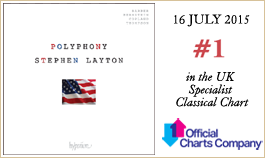 Thompson designed these works to be gracious for the singer and accessible for his audiences, writing mainly conjunct vocal lines and employing part-writing and voice-leading principles derived from models of both sixteenth- and eighteenth-century polyphony. Avant-garde developments and experiments in vocal-writing held no interest for him—in a speech given in 1959 extolling composers to write for amateur choruses he expressed his opinion that contemporary compositional techniques involving irregular rhythms and a pervasive use of dissonance and chromaticism were less than suitable for choral music. Thompson was content instead in expressing his musical ideas through more traditional, time-tested and conventional means. Within these self-imposed constructs he was able to compose choral works that are marked by skilful craftsmanship, a pervasive singability and uncommon beauty. Randall Thompson began his higher education at Harvard University in 1916. Although his student application to join the Harvard Glee Club was unsuccessful (certainly an irony given his later history as a composer for the choir), he was able to come under the tutelage of the Glee Club’s conductor, Archibald T Davison, who guided Thompson’s early efforts in composition with a concentration on composing for chorus. Like many American composers of his generation, Thompson then travelled to Europe for further study, settling in at the American Academy in Rome where he composed his first important work, the five Odes of Horace in 1924. Upon returning to the United States, Thompson received his first academic appointment as assistant professor of music at Wellesley College, where he conducted the choir and taught organ. He remained in academia for his entire career, teaching at a number of universities including Berkeley, Princeton, the University of Virginia, and Harvard. For two years he was director of the Curtis Institute of Music in Philadelphia where among his students and assistants were Leonard Bernstein and Samuel Barber. During his long academic career Thompson assumed an important leadership role in developing the curriculum for the teaching of music at American universities.